Welcome to the last week, Week 5 of the Open and Connected Learning Mooc for Alberta Educators. Over the last four weeks you’ve connected, created, been open to new ideas and gathered some great ideas from your colleagues. This week we are looking at how to remain connected, engaged and learning beyond #oclmooc or other connected learning experience. We’ll be discussing how to extend your professional learning network, how to start you own learning groups with other teachers and how to bring technology into your classroom. This week we encourage you to reflect on what you have learned, on the things that you have tried, and the ways that you have connected with others during #oclmooc. Please share your reflection in the #oclmooc Twitter feed and in the Google+ community so that others can view it, be inspired by it and comment on it. Your reflection, just like your learning experience will probably be different than anyone else’s reflection. Alec Couros, who was the lead learner in etmooc, and who is the special guest in our final webinar at 7 pm mountain time on October 30th has his students create final reflections for his Technology in Education undergraduate course. Here are some examples of reflections from his students. If you haven’t blogged yet, now would be a wonderful opportunity to write a blog post to reflect on your learning. If you you haven’t added your blog to the #oclmooc Blog Hub, you can add it here. You could also consider making a vlog! The Open Spokes YouTube channel has a great collection of vlogs on a variety of topics. Some of the members of Open Spokes are #oclmooc co-conspirators. For many people, one way of demonstrating Open Leadership is to share resources that you find valuable with others, to curate content. You can do this with posts on Twitter, in Google+ and on your blog or you can use specific curation tools like Storify. Here is Susan Spellman Cann‘s Storify of last night’s Twitter Chat about Open Leadership. Some people use Pinterest to curate resources. Here is a Pinterest Board with educational resources that you might find useful, it is a great board for K-12 educators to start and to find other educational Pinners and Pinboards related to their educational interests. Here board about Creative Commons resources, some are in French. Cybrarian has many collections of curated resources for teachers and parents, if you haven’t checked out his site, take a look. If you are interested in finding other curation tools to try, check out this blog post by SearchEngine Watch or this Ultimate list of Content Curation Tools. DS106 is a fabulous resource for exploring the digital environment and expanding you professional network at the same time! DS106 is a hybrid between a class, cMooc, and assignment bank. The DS106 site houses an extensive amount of resources, suggested activities and examples of creativity and digital storytelling. There are many ways to participate. Try a DS106 Daily Create and explore your own creativity, check out the digital storytelling assignments (sorted by type of media) or join DS106 and try the whole course. If writing in Twitter is more your style try posting a #6wordstory. Don’t forget to include the #oclmooc and #6wordstory hashtags. Have you tried Vine yet? Create a six second video and post to the #oclmooc hashtag on Vine about something you or your students learned during #oclmooc. Get connected: how tweets, chats, and Vine videos boost learning – Learning world. Which Creative Commons licence should you use? Use Twitter to grow your network and connect to other educators! Twitter allows for amazing opportunities to connect with other teachers using technology and to discuss. #wearealllearners This Twitter hashtag is used for educators to highlight learning that is going on outside the classroom, by unconventional learners. Share your serendipitous learning here. #ce14 is the hashtag for Connected Educators 2014, check out all of the learning and resources that are being shared. @MrsMorgansClass runs the Global Classroom Project which is a hub for many connected classroom links (pen pals, collaborative media projects, connected genius hour projects). Connected Principals is the shared blog space of many innovative administrators, created by Albertan George Couros. If you haven’t done so, check out the #cpchat Twitter feed. Networking is vital for professional growth and connecting with colleagues. How to facilitate connected learning amongst teachers both online and face to face? Reach out! One way to network with other connected educators is to attend an EdCamp. 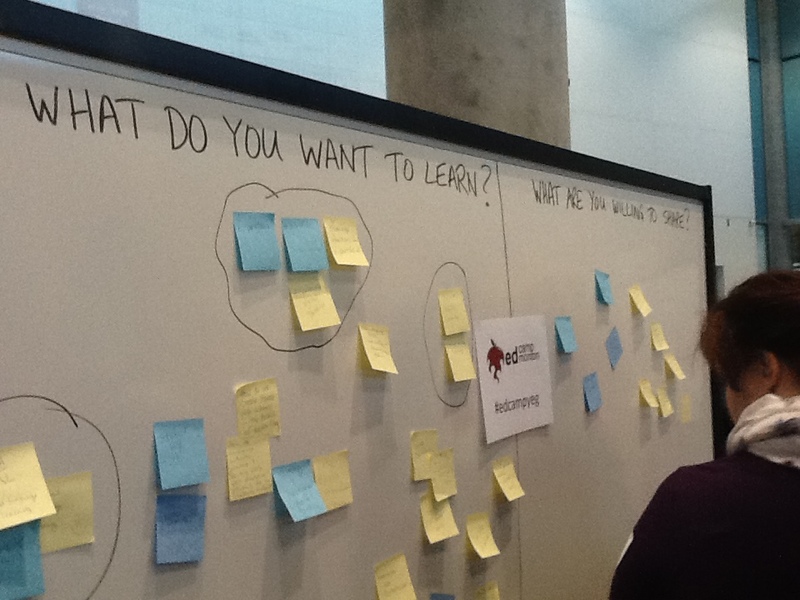 Alberta hosts several EdCamps listed on our EdCamps page, is there one scheduled in near you? If not, you could always start one! If the idea of hosting a whole day EdCamp is too much, maybe a one hour CoffeeEDU is more your style. Kathy Cassidy, a grade 2 teacher from Moose Jaw, Saskatchewan explains why her classroom is open. One World Classrooms combines arts with technology to link classes with students in another K12 situation globally. Hybrid Pedagogy is an open education journal. Check out some recent articles, add your comments or submit your own article. Join us for our final #oclmooc Twitter Chat on October 28th at 7pm mountain time. Use the hashtag #oclmooc and share how you plan to stay open and connected after #oclmooc. If this was your first mooc and you ended up being a “lurker” don’t worry, we all start as lurkers in the online world. What we do hope is that you have documented your experience even if you didn’t participate in any of the discussions or shared anything online. If you’re a lurker, you are still learning! Some students will also go through this process initially in an online space so it helps if you understand and reflect on your own hesitations about engaging online, so that you can help your students become comfortable in this environment! Remember learning should be guilt free! We’ll be having our final #oclmooc webinar at 7pm mountain time on October 30th with special guest Alec Couros. Please join us to talk about your learning experience, next steps, reflections on your learning and what your next steps for teaching and learning are. As we move into our final week of formal interactions within #oclmooc (with the assurance that with this connectivist MOOC, the informal interactions before us are potentially substantive, sustainable, and even more abundant than anything we have seen seen in the course), we have a variety of resources and models available to us. We can continue–as our colleagues in #etmooc and #xplrlrn have done – continue to function as a community of learning via Twitter (using the #oclmooc hashtag with regularly scheduled tweet chats; our Google+ Community with postings and extended interactions whenever any of us feels the need to contribute and respond; Google Hangouts organized and promoted via Twitter and the Google+ Community; through cross-posting of ideas and comments on our individual blogs; and by continuing the extended interactions already underway between #oclmooc and #ccourses (the Connected Courses MOOC). If you’re unfamiliar with #etmooc (the Educational Technology & Media MOOC), you’ll find plenty on the course “About” page and blog hub as well as in the ongoing #etmooc Google+ Community. We’re open, active, and always ready to welcome new members. If you want to explore ways to develop your own personal learning network through a network of personal-learning-network explorers, you’ll find plenty about #xplrpln on the course “About” page and home page, or you might want to explore Maureen Crawford’s PLN to go site. The continuity that flows from a connectivist MOOC into a dynamic, long-lasting community of learning comes from the contributions of an ever-growing group of members. Sometimes the action is formal -as when members agree to meet on a particular platform (e.g., Twitter or Google Hangouts) as a predetermined time–and sometimes the action is informal (e.g., when members unexpectedly encounter each other in various learning settings, as one of our co-conspirators, Paul Signorelli, noted in an article for the New Media Consortium blog: “Open Innovations: #etmooc, Connected Learning, and ‘MOOChorts’ of Lifelong Learners.”) The interactions can also extend over a much longer period of time than anticipated, as Paul noted in a separate article that was cited in Week 3 of #oclmooc: “Learning Time and Heads That Spin”; this takes us into a fascinating world of learning where synchronous and asynchronous interactions become blended into wonderfully intriguing “moments” beyond” what we normally encounter. Our community will continue to explore, connect, and learn from the interactions that are at the heart of connectivist MOOCs. We hope you’ll be with us in the months and years to come, and that you’ll contribute as time and individual interests allow. Thanks for joining us for #oclmooc, we hope that we continue to learn together long after the formal end of the course.